Along the course of time, I have derived a lot of interesting incidents from all of my trips, especially from the guides who accompany me. 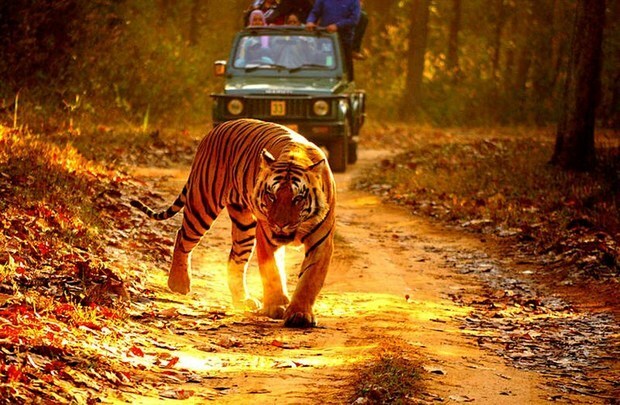 One such incident involves the guide who accompanied us on the Safari ride to Satpura Tiger Reserve. He was a very young guy with immense experience of the place we were visiting. As we were driving through the Jungle in hope of spotting a Tiger or a Leopard, he went on to share a very hilarious story of the Superintendent(SP) of police who had visited the reserve a couple of months back before our visit. "Sir, I know you are the superintendent of police but the Tiger doesn't"
:) well the world is a funny place.. one just needs to work on their sense of humour! Hey Nish, Ofcoarse I remmeber. Sorry for replying this late but its been really crazy busy. Glad you liked my write-ups! there are few more pending to be published.